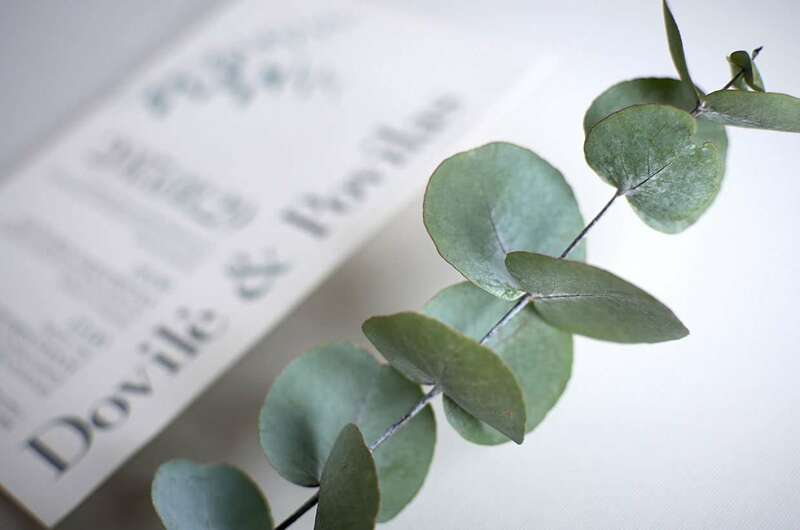 Round leaves eucalyptus plant is really beautiful visually, has a very gentle gray-greenish tint, and wonderful scent. 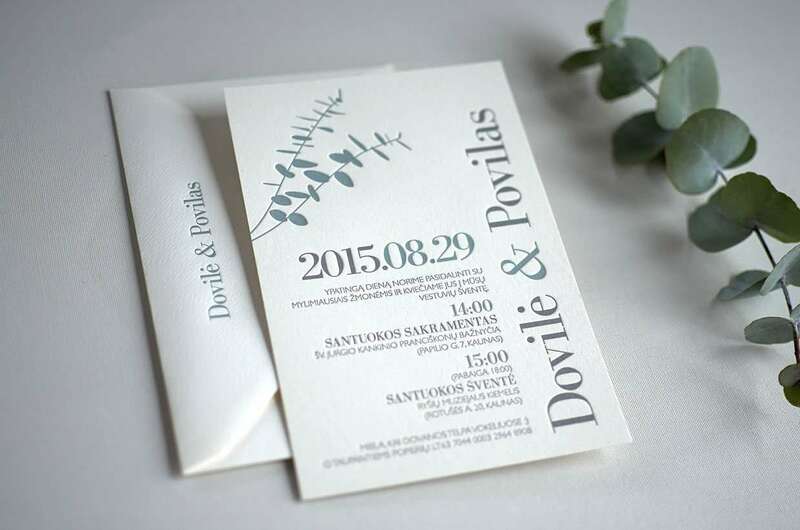 Perfect decoration for a wedding! 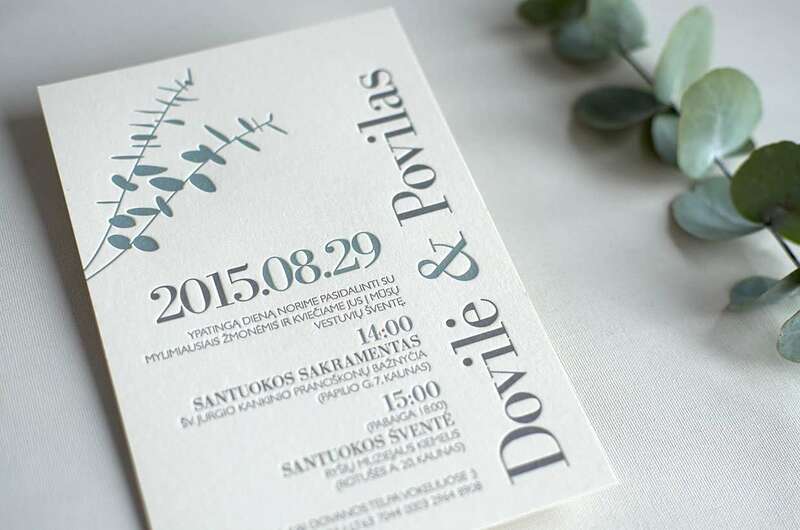 Dovile and Povilas wanted eucalyptus theme wedding. 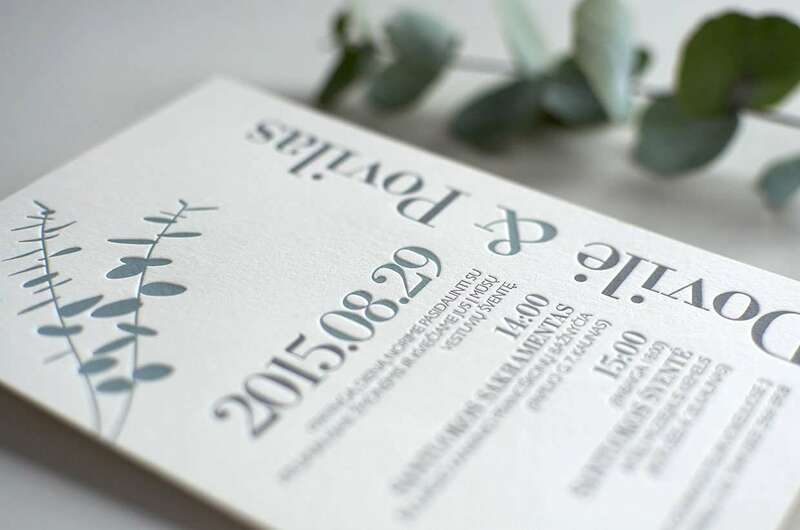 So our studio has designed and letterpress printed two colors – grey and eucalyptus green – luxurious letterpress wedding invitations with classical typography. Perfect match!